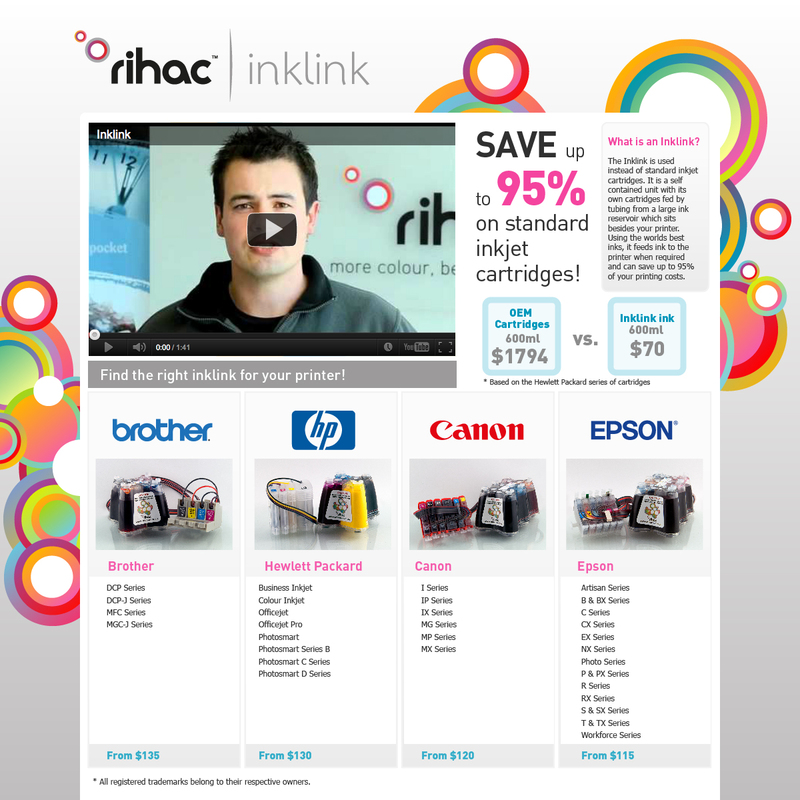 Melbourne based company Rihac approached Pepper to market their ‘Inklink’ product. From creating the product name, through to logo design and eventually production and placement of a television & digital media campaign. Product: Production – 30 second TVC, Production – 90 sec online video, design & build campaign landing page, digital display banner, digital marketing management. The product in itself was recognised as representing a genuine revolution in the ink replacement sector when it comes to inkjet printers. 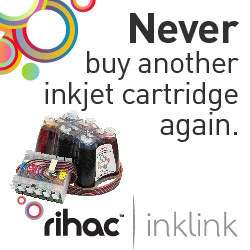 Whilst the savings of up to 95% over traditional ink cartridges presented an attractive offer, the market had low awareness of the Rihac product. The Pepper team created the ‘evolution’ concept, using simple imagery to illustrate the evolution of printing to communicate the Inklink product was the latest stage of this evolutionary process. With the primary target audience identified as being male 25-64, the campaign dates were scheduled around the Melbourne F1 GP which held a very strong audience share. High frequency was achieved over a short space of time and the immediate response, particularly on mobile and tablet devices was exceptional. The campaign supported with a strong online remarketing strategy which ensured a high conversion rate in the ensuing weeks. Following TV placements the website experienced instant organic and direct visitation. This traffic was calculated to represent an investment of under $10 per visitor. An exceptional result considering Televisions primary role in the campaign was to build brand awareness. A comprehensive digital advertising campaign followed the Television placements to deliver online sales and phone call conversions.